If you're hard of hearing, standard alarm clocks often aren't enough to wake you up. Waking up late can disrupt your sleep patterns, make you late for work and can cause you to miss appointments, among other things. 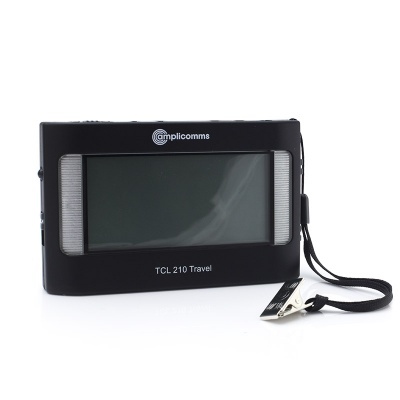 A great alarm clock for hard of hearing individuals, the Amplicomms TCL 210 Vibrating Travel Alarm Clock is a stylish, simple to operate, portable alarm clock which can use both sound and vibrations to wake you. 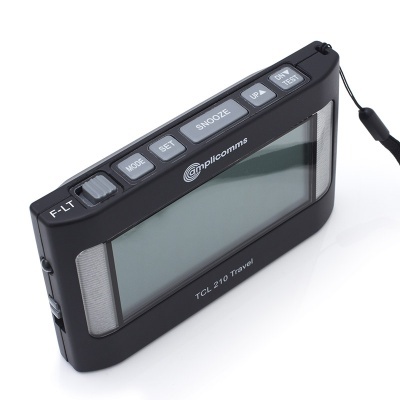 The Travel Alarm Clock can wake you up with a normal alarm chime, vibration alarm to shake you awake, or both alarm and vibration. Its powerful built-in vibration alert, bright flashing lights and loud melody ensure that you will never miss an appointment or flight again. 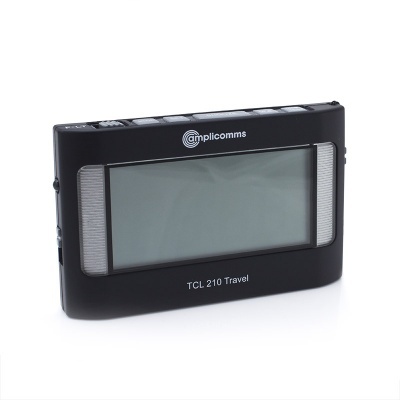 As the Amplicomms TCL 210 Vibrating Travel Alarm Clock has a vibration alert and flashing light, you can opt to have a vibration and light only alarm without the alarm noise. This means that you could be woken without the need to disturb the person sleeping next to you – perfect if you have an early start but your partner doesn't! 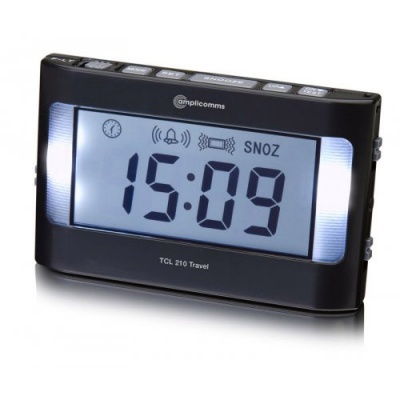 The Amplicomms TCL 210 Vibrating Travel Alarm Clock even has a thermometer to ensure the room is at the perfect temperature for sleep.